The reclamation, preservation and promotion of Líl̓wat traditional culture is an important community value. The community keeps its culture alive by the use of Ucwalmícwts (traditional language) and supporting classes in traditional arts and crafts, such as hand-drumming, basket weaving, carving, regalia-making, and participating in saq̓úta (singing and dance). Culture protocols that outline respect and sensitive engagement are observed at all Gatherings and are supported by the Lil̓wat7úl Culture Centre. Awareness of this rich and dynamic culture extends beyond community through the work of the Iswalh Dancers, the Lil̓wat7úl Culture Centre and the Squamish Líl̓wat Cultural Centre in Whistler. The Lil̓wat7úl Culture Centre, showcases the art, crafts and language of the Líl̓wat people with displays and programming. Located at Ts̓zil Learning Centre, 125 Lillooet Lake Road, the centre is open from 8:30 – 4:30, Monday thru Friday. The centre’s work can be summed up in a single word: Nt̓ákmen (Our Way). Nt̓ákmen refers to the traditional values that inform all aspects of a person’s life, from how they live on the land to using the Líl̓wat Ucwalmícwts. The centre embraces these values and reflects them back to the community. The Lil̓wat7úl Culture Centre is key to the development, promotion and understanding both traditional and modern Líl̓wat culture. 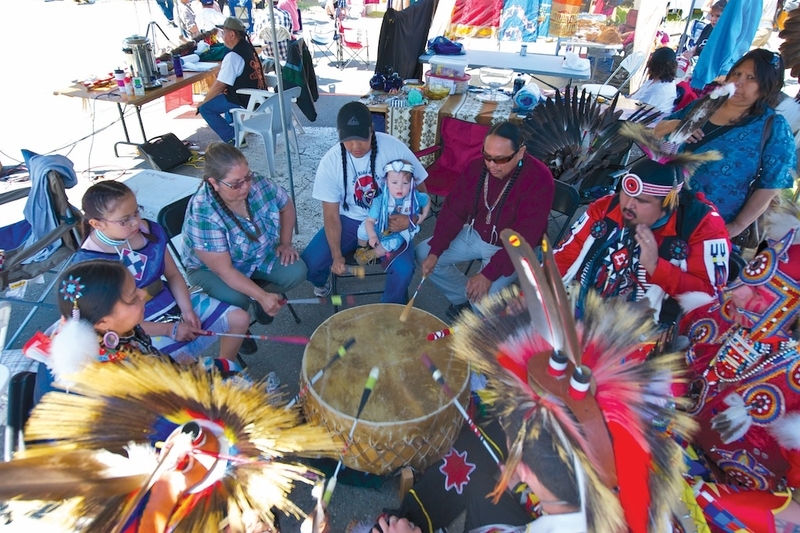 Community members can participate in the centre’s year-round cultural programs that operate under the guidance of elders. These programs include drum making, Ucwalmícwts classes, guided nature walks, carving and leatherwork. Líl̓wat Nation branded apparel, souvenir items, and authentic artworks created by Lil̓wat7úl artists are available for purchase at the Lil̓wat7úl Culture Centre. Including in the centre̓s offerings are unique pieces of traditional Líl̓wat artwork including cedar carvings and baskets. Known as “the world’s most beautiful baskets,” these decorative and practical pieces feature intricate designs inspired by nature. Líl̓wat7úl weavers achieve this imagery by using cedar roots, cedar bark, wild cherry bark, various grasses and reeds. Leather goods including rawhide drums, moccasins, jackets and ceremonial regalia are also available for sale at the centre. These one-of-kind, handmade items have been created using the same techniques and methods Lil̓wat7úl craftspeople have employed since time immemorial. The Lil̓wat7úl Culture Centre also promotes contemporary art featuring traditional Lil’wat imagery. The Lil̓wat7úl Culture Centre is located on the second floor of the Úll̓us Community Complex in Mount Currie, at 82a #10 Road, accessed off Main Street. The centre is open Monday thru Friday, from 8:30 am to 4:30 pm. Admission is free, but donations, which support the centre’s operation, are gratefully accepted. Preserving and increasing the usage of Ucwalmícwts (traditional language) is a priority for the Nation. Entrenched in the Nation’s strategic plan, the increased use of Ucwalmícwts is facilitated by in-class instruction for children enrolled at the Úll̓us Childcare Centre and Xet̓ólacw Community School. Adult language classes are available through the Lil̓wat7úl Cultural Centre and Ts̓zil Learning Centre. Ucwalmícwts retention efforts began in the 1970s. In fact, language and cultural preservation were key factors in establishing Xet̓ólacw Community School. The first language of the Líl̓wat Nation, Ucwalmícwts is the language that was first spoken when telling the stories that bind the people to the land. It is the language that connects the people to their true spirit — to the very essence of being Lil̓wat7úl. Efforts to create a writing system for the spoken language were supported by Simon Fraser University in the early 1970s. Today, that work continues through the work of First Voices initiative and the Lil̓wat7úl Culture Centre. In 2013, Ts̓zil Learning Centre partnered with Capilano University to create a Líl̓wat Nation Language and Culture Certificate Program. This program offers significant instruction in Ucwalmícwts and is one of the ways the Líl̓wat Nation is working to ensure its traditional language remains a living language. Language retention is vital to the community’s identity. Today, there are fewer than 50 Lil̓wat7úl that are fluent in Ucwalmícwts. However, many more community members are familiar with certain Ucwalmícwts words, phrases and songs. This knowledge is imparted at the community’s daycares, K-12 school and community cultural celebrations. It is a goal of the Líl̓wat Nation to have more of its members using the language, even as adjuncts to English communication. An example of everyday usage is found in staff emails signed off with the Ucwalmícwts words for thank you, “Kúkwstum̓ckacw” (for one person)or “Kúkwstum̓ckál̓ap” (for many people). Language instruction for older youth and adults is available through the Lil̓wat7úl Culture Centre programs and as part of the Capilano College Lil̓wat7úl Language and Culture Certificate. For more information on language program availability, please contact the Lil̓wat7úl Culture Centre or Ts̓zil Learning Centre. The First Voice Project provides an on-line dictionary, audio recordings of words and phrases, and learning games. To connect with this valuable resource, click here. To assist with your learning. the Lil̓wat7úl Culture Centre has developed an Ucwalmícwts dictionary to help familiarize the community with the language. Copies are available for purchase at that centre. FirstVoices is another great resource for those interested in learning more about Ucwalmícwts. An internationally recognized online indigenous language archive and teaching resource, FirstVoices makes it possible for First Nations communities to document their language for future generations. Every year we are adding recordings of more words. Visitors to FirstVoices can also access spellings and translations for close to 1,400 Ucwalmícwts words and 800 phrases. As well, the site features learning games such as word searches, quizzes and jigsaw puzzles to increase language ability. To connect with First Voices, please click here. First Voices has also created a website especially for children featuring games and colouring sheets. To connect with FirstVoices Kids, please click here. Líl̓wat Ucwalmícwts is at your fingertips with this great new app that provides English to Ucwalmícwts translations. Available for Android devices, iPhones and iPads. Click on one of the buttons below to download. 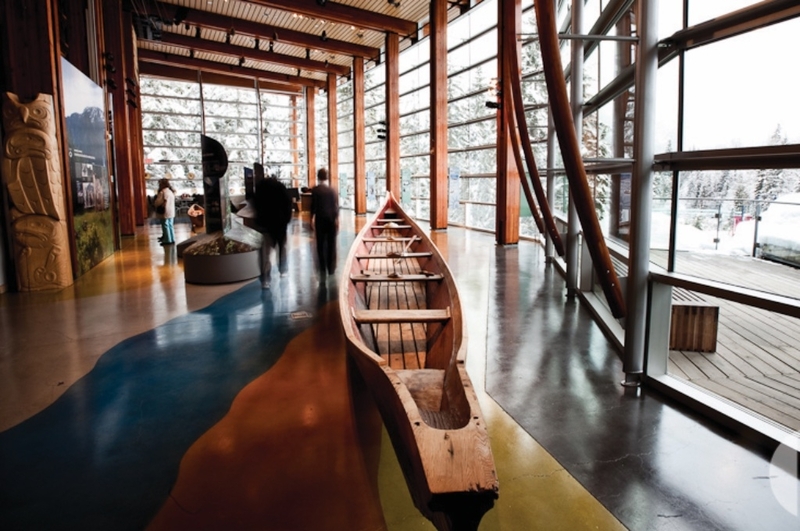 Located in Whistler, in the heart of the Líl̓wat and Squamish Nation’s shared territory, the Squamish Lil̓wat Cultural Centre (SLCC) showcases Líl̓wat culture in a state of the art facility. Featuring permanent displays and unique exhibits, the SLCC provides visitors with both historical understanding and contemporary information about the Líl̓wat culture. Opened in 2008, the centre is jointly owned by the two Nations. 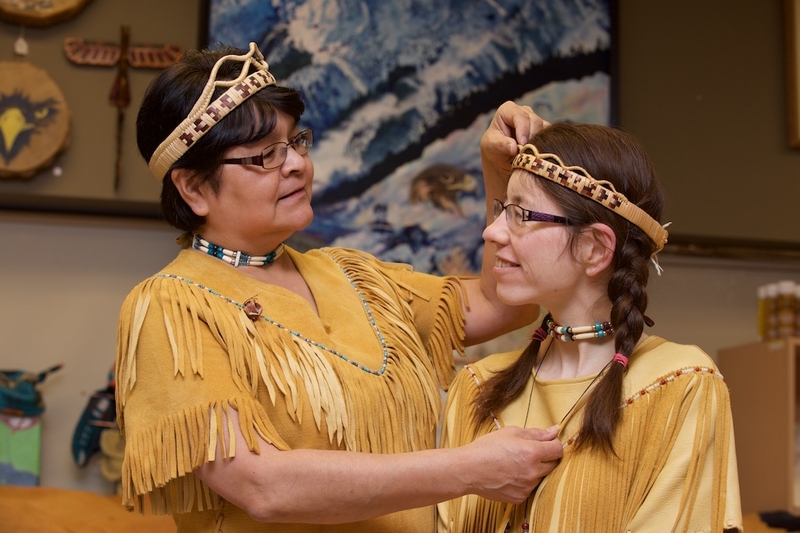 Much more than a “museum,” the SLCC is a living cultural centre where visitors have interactive experiences, learning from youth ambassadors and the centre’s dedicated staff. 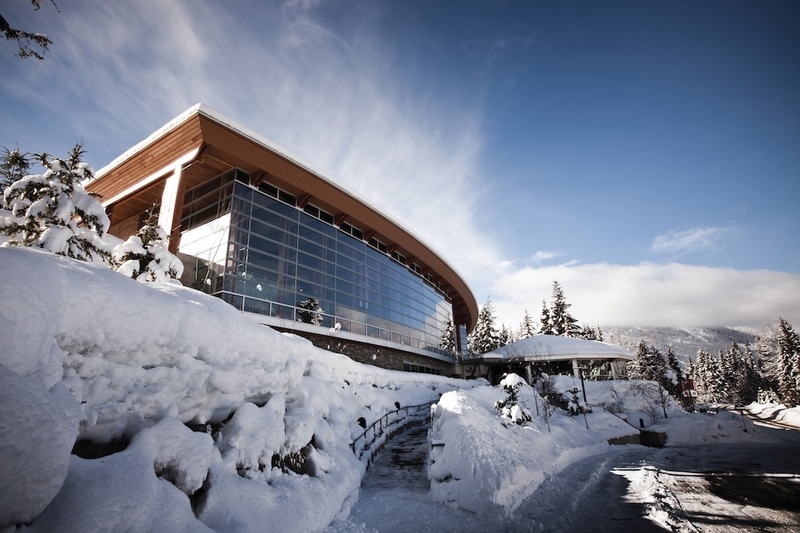 Located two hours from Vancouver, the centre is perfect for a day trip. Enjoy a snack, lunch or an early dinner at the centre’s excellent onsite eatery, The Thunderbird Café, which feature modern takes on traditional food. (Don’t skip the bannock, it’s amazing!) As well, the SLCC’s gift shop features the work of local Líl̓wat artisans. The centre is open Tuesday thru Sunday, from 10 am to 5 pm. Admission is $18 for adults, $5 for children and youth 6 – 18. A family pass is $42.